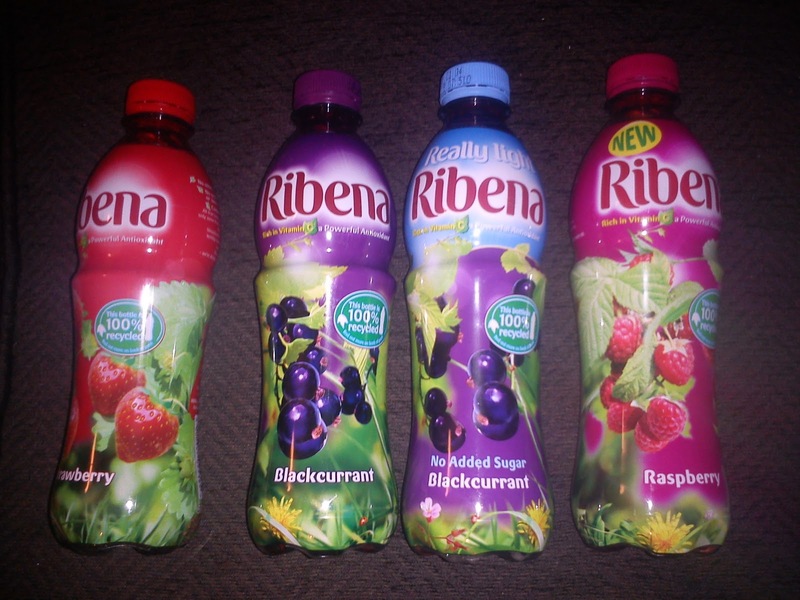 Up for grabs today is 4 bottles of Ribena thanks to Ribena. "As a long established and well-loved British brand, Ribena has been enjoyed by families for over 70 years now. From the beginning, we have been passionate about the berries in Ribena products. Today, all of the blackcurrants that go into our squash are grown in the beautiful British countryside by trusted growers and bottled at the Ribena factory in Coleford, in the heart of the Forest of Dean. By working with The Wildlife Trusts - one of the largest conservation charities in the UK - we help to promote wildlife friendly farming across the Ribena blackcurrant farms. 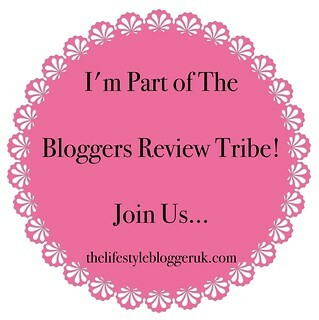 And because we love blackcurrants so much were also an associate of the Blackcurrant Foundation!" Water, Sugar, Blackcurrant Juice from Concentrate (5%), Citric Acid, Vitamin C, Preservatives (Potassium Sorbate, Sodium Bisulphite), Colour (Anthocyanins). Product before dilution contains 22% juice. Contains no artificial colours, artificial flavours or sweeteners. Water, Sugar, Blackcurrant Juice from Concentrate (5%), Citric Acid, Vitamin C, Preservatives (Potassium Sorbate, Sodium Bisulphite), Colour (Anthocyanins). Product before dilution contains 22% juice.Contains no artificial colours, artificial flavours or sweeteners. Water, Blackcurrant Juice from Concentrate (7%), Malic Acid, Acidity Regulators (Calcium Hydroxide, Calcium Carbonate), Citric Acid, Sweeteners (Aspartame, Acesulfame K), Vitamin C, Stabiliser (Xanthan Gum), Flavouring, Preservatives (Potassium Sorbate, Sodium Bisulphite), Colour (Anthocyanins). Contains a source of Phenylalanine. Product before dilution contains 35% juice. Contains no artificial colours or flavours. Water, Sugar, Strawberry Juice from Concentrate (6%), Citric Acid, Extracts of (Black Carrot, Blackcurrant), Vitamin C, Flavourings, Preservatives (Potassium Sorbate, Sodium Bisulphite). Product before dilution contains 30% juice. Contains no artificial colours or sweeteners. Water, Sugar, Blackcurrant Juice from Concentrate (6%), Vitamin C, Citric Acid. Contains no artificial colours, artificial flavours or sweeteners and no added preservatives. Water, Blackcurrant Juice from Concentrate (7%), Malic Acid, Acidity Regulators (Calcium Hydroxide, Calcium Carbonate), Vitamin C, Sweeteners (Aspartame, Acesulfame K), Citric Acid, Stabiliser (Xanthan Gum), Flavouring, Colour (Anthocyanins). Contains a source of phenylalanine. Contains no artificial colours or flavours. Water, Sugar, Strawberry Juice from Concentrate (6%), Citric Acid, Extracts of (Blackcarrot, Blackcurrant), Vitamin C, Flavourings. Contains no artificial colours or sweeteners and no added preservatives. Water, Sugar, Strawberry Juice from Concentrate (6%), Citric Acid, Extracts of (Blackcarrot, Blackcurrant), Vitamin C, Flavourings. Contains no artificial sweeteners or artificial colours and no added preservatives. Water, Apple Juice from Concentrate (31%), Sugar, Flavourings, Malic Acid, Vitamin C. Contains no artificial colours or sweeteners and no added preservatives. Water, Orange Juice from Concentrate (12%), Sugar, Citric Acid, Vitamin C, Stabiliser (Acacia Gum), Sweeteners (Aspartame, Acesulfame K), Colour (Beta Carotene), Flavouring. Contains a source of Phenylalanine. Contains no added preservatives. Water, Sugar, Raspberry Juice from Concentrate (4%), Citric Acid, Vitamin C, Flavourings, Colour (Anthocyanins). Contains no artificial colours, flavours or sweeteners and no added preservatives. Pure Fruit Juices from Concentrate 85% (Apple, Pear, Raspberry Puree (8%), Aronia), Water. Pure Fruit Juices from Concentrate 85% (Apple (60%), Grape, Blackcurrant (12%)), Water. Water, Sugar, Blackcurrant Juice from Concentrate (6%), Vitamin C, Citric Acid, Colour (Anthocyanins). Contains no artificial colours, artificial flavours or sweeteners and no added preservatives. Water, Blackcurrant Juice from Concentrate (7%), Malic Acid, Acidity Regulators (Calcium Hydroxide, Calcium Carbonate), Vitamin C, Sweeteners (Aspartame, Acesulfame K), Citric Acid, Stabiliser (Xanthan Gum), Flavouring, Colour (Anthocyanins). Contains a source of phenylalanine. Contains no artificial colours and no added preservatives. of which sugars (g) 0.5. Water, Fruit Juices from Concentrate (8%) (Raspberry, Pomegranate), Citric Acid, Vitamin C, Acidity Regulators (Calcium Hydroxide, Calcium Carbonate), Extract of Black Carrot, Sweeteners (Sucralose, Acesulfame K), Flavourings. Contains no artificial colours and no added preservatives. Water, Sugar, Strawberry Juice from Concentrate (6%), Citric Acid, Extracts of (Black Carrot, Blackcurrant), Vitamin C, Flavourings. Contains no artificial colours or sweeteners and no added preservatives. Carbonated Water, Sugar, Blackcurrant Juice from Concentrate (6%), Vitamin C, Citric Acid, Preservatives (Potassium Sorbate), Colour (Anthocyanins). Carbonated Water, Sugar, Raspberry Juice from Concentrate (4%), Citric Acid, Vitamin C, Flavouring, Preservatives (Potassium Sorbate), Colour (Anthocyanins). Show your love for Ribena by becoming a fan on Facebook www.facebook.com/RibenaUK or become their follower on Twitter @RibenaUK. Ribena is a big favourite in our house. It has yummy taste & is full of goodness. Thanks Yvonne for bringing us another great giveaway on your advent calendar. Is it just me, or does the Ribena in bottles and cartons taste a million times nicer than the concentrated stuff?